So, the over the range hood we bought was the Broan QP236SS 350 CFM 36-Inch Wide Undercabinet Range Hood in Stainless Steel. We just love the look and it had great reviews (4+ stars). The first one that arrived was pretty banged up during shipping. It had dents all over it. Thank god for Amazon and their great return policy. 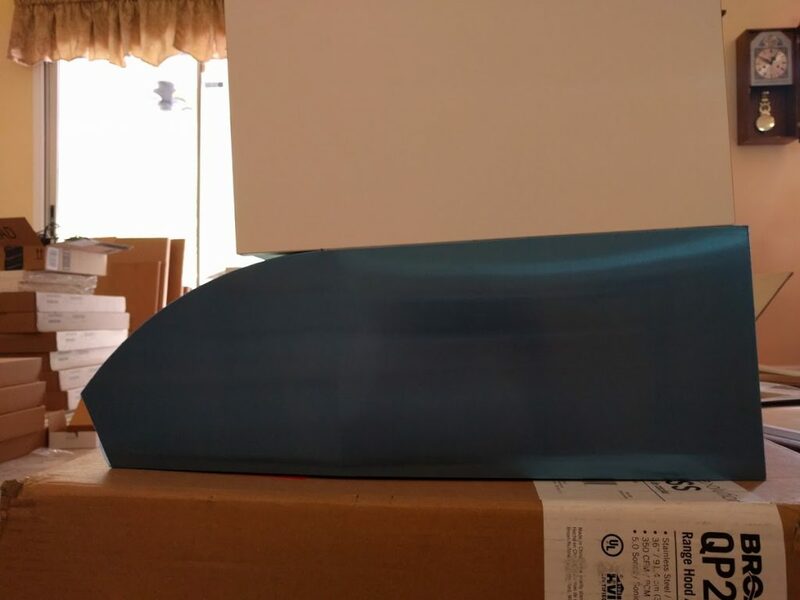 We simply packed back into the box, claimed damaged products on Amazon’s website and UPS came and picked it up. Shortly after a new one arrived in good shape. 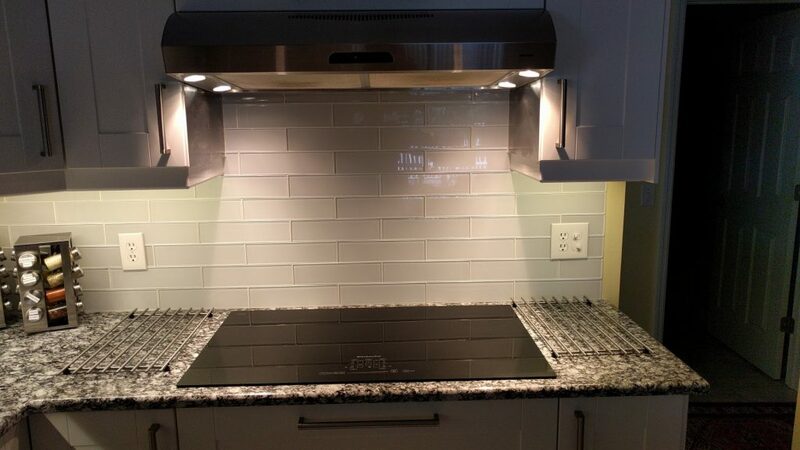 Now this range hood is really made for standard 12″ deep cabinets. Our Ikea cabinets are 15″ inch deep, so I expected to do a little adjustment by moving the range hood 2 inch out from the wall, and cover the space with either wood or stainless steel. PLEASE NOTE: if your cabinets are 12″, you will have no issues at all! I put the wall cabinet on top of the hood so you can see the issue. 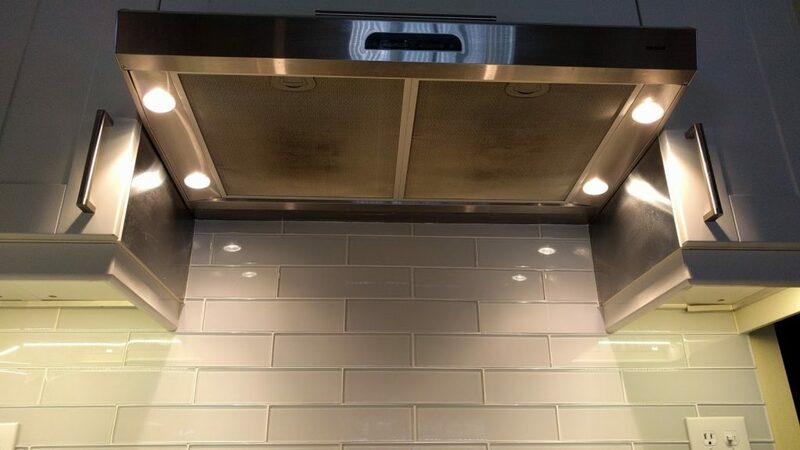 On the picture below, you can see how the cabinet isn’t flush in the front because it’s a range hood primarily made for a 12″ cabinet, and the cabinet above is a 15″ cabinet. On next picture you can really see the gap there would be if you installed this range hood all the way in towards the wall and have a 15″ deep cabinet above. 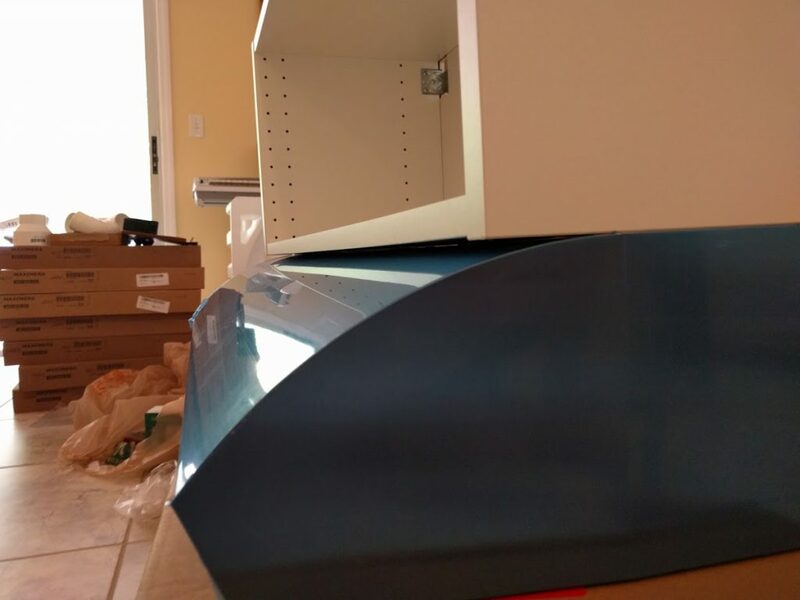 Next pirture shows how the hood is flush to the cabinet if it is moved 2″ out from the wall. Keep in mind that you will not have this issue if you have the standard 12″ deep cabinets. We are very happy with the Broan QP236ss range hood. We were a bit worried if it would provide light enough for the large 36″ cook top, but it really gives a great light. The fan is a little loud on the highest setting, but I honestly do not use it much, so it isn’t a big deal for me. 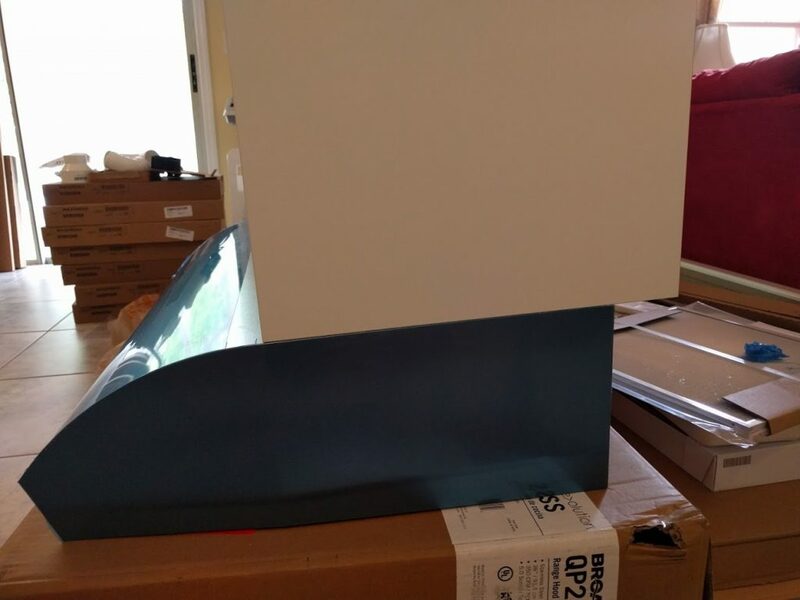 On the next picture you can see how I solved the issue with the 12″ hood under a 15″ cabinet. Ok, you can barely see it 🙂 (Click on the image and it will pop up a little larger). I attached an aluminum angle to the full length of the hood and attached a piece of wood to the wall. Then I could screw a piece of stainless steel right up in the angle and wood to cover the gap in the back. ← Getting The Ikea Kitchen Cabinets Together.